These are exciting times at Cross Country Cafe- we have a new family member, a bouncing baby…Nespresso compatible capsule! 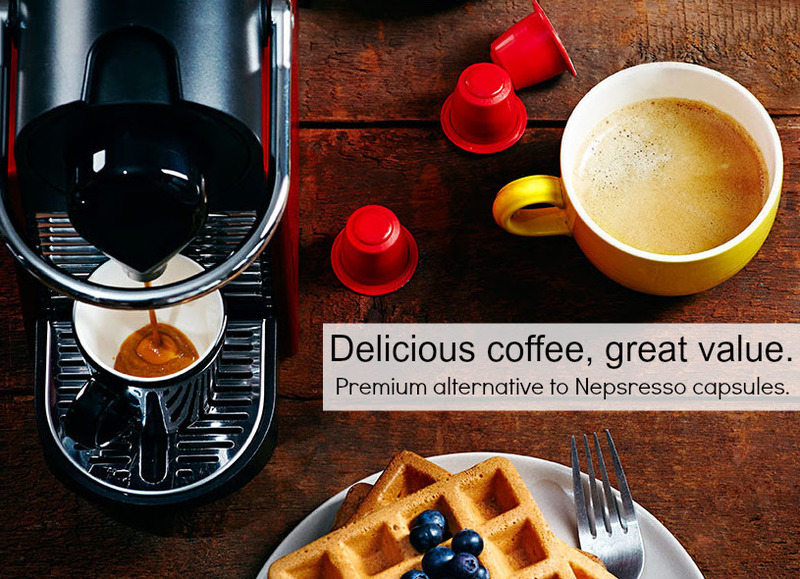 Nespresso drinkers are often frustrated when trying to find their beloved espresso. It is not available in any big box stores and you have to join an intimidating club to order online. Not to mention finding a great deal- coupons and sales rarely happen. Introducing Hiline coffee, a premium alternative to Nespresso capsule. Delicious espresso at a great value! In addition to being available everyday at a value price, a Nespresso compatible capsules will be included in our weekly sales! 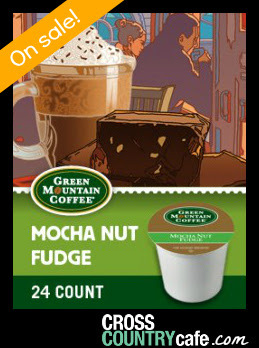 Green Mountain Mocha Nut Fidge Keurig K-cup coffee is on sale for $11.99 per box of 24! 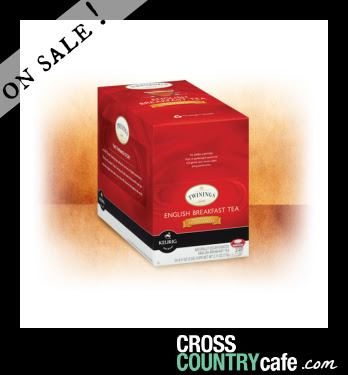 Twinings Keurig K-cup tea is on sale this week for $9.99 per box of 24! A blend of black teas from several origins to make a cup of full bodied robust tea that is great with breakfast or at any other time of day. 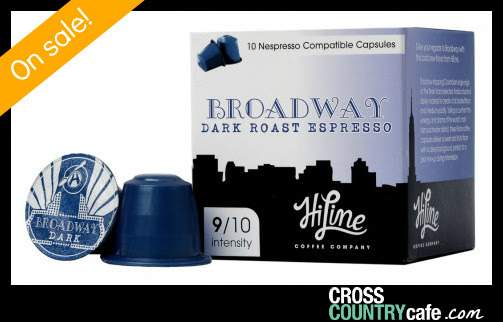 Broadway Dark Roast Nespresso compatible capsules are on sale this week for $4.99 per box of 10. A dark roast gourmet espresso blend with a 9/10 intensity offering sweet fruity flavors with a tart finish. In other news, you are going crazy over our monthly giveaways and you should too- This month we are giving away four boxes of Peet’s Keurig K-cup coffee!